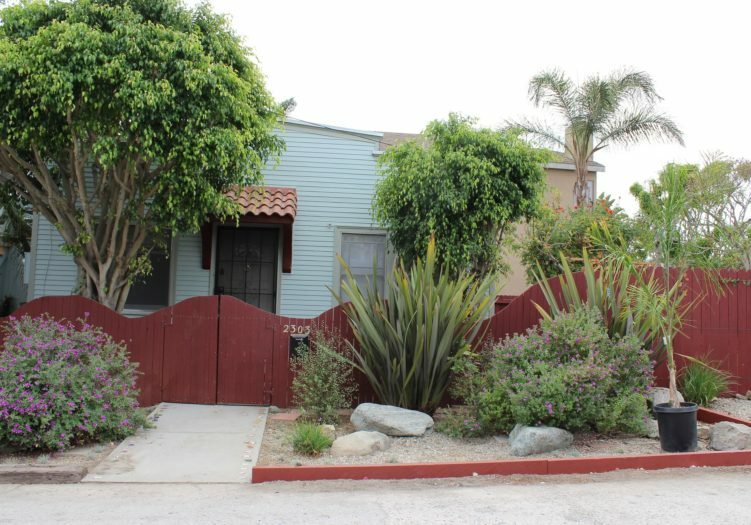 Home » Listings » 2305 Dell Ave.
Live where everyone else wants to visit – the world famous historic Venice Canals! Enjoy the easy pace of a water front environment in a two bedroom one bath 1924 cottage with updated plumbing and electric, newly painted interior and exterior, newly refinished wood floors and updated kitchen and bath. The spacious, beautifully landscaped and hardscaped garden is like a sanctuary away from the hustle and bustle of the real world. An outdoor table and six chair set plus other seating is included for your convenience. Two small one-car garages for parking. Fun on Venice Beach and restaurants and shopping on Abbot Kinney Blvd. and Washington Blvd. a short distance away.